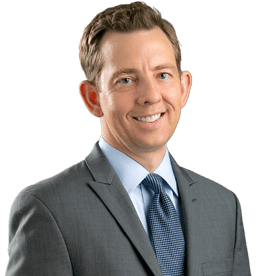 Eric M. Gruzen | Handles Employment Law Cases In Woodland Hills Office. Eric M. Gruzen is a Partner at JML Law handling Employment law cases in the firm’s Woodland Hills office. Eric joined JML Law in 2018 after 14 years at a national law firm, having primarily handled management-side employment cases and occasionally litigating against JML Law. After getting to know many of the JML Law team and becoming impressed with the work that they did and the clients they represent, Eric decided to use the inside knowledge of defending employment cases to his benefit and joined JML to represent employees who’s rights have been violated. Eric has litigated hundreds of employment law cases over the many years of his career. Since graduating from McGeorge School of Law in Sacramento in 2002, Eric has actively practiced all aspects of civil litigation. Outside of the office, Eric loves to spend time and travel the world with his wife, his son and his daughter. Eric also plays recreational softball, attending Los Angeles Rams, Dodgers and Laker games, playing competitive fantasy football, and loves to play with Widget, the family German Shepherd Dog.